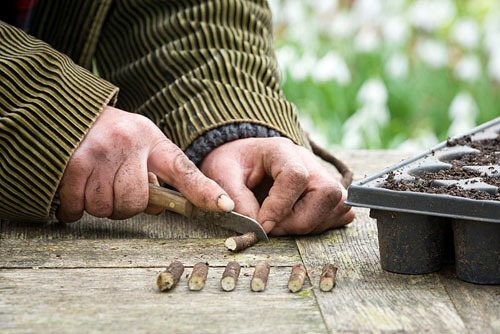 If you’re itching to alleviate the winter gloom by opening the odd seed packet this month, then we’ve got good news for you. 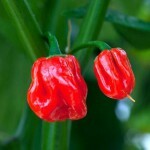 While the likes of sweetcorn and pumpkins need to stay wrapped up in their foil envelopes till April or May, chilli pepper seeds can be unleashed in January and February. 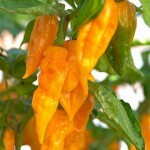 Many varieties, especially the hotter types like habaneros and nagas, revel in an early sowing due to their long maturity times. 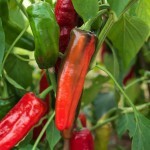 Just ensure that you can provide them with enough heat and light, and you’ll be rewarded with productive, good sized plants long before later sowings are even thinking about flowering. 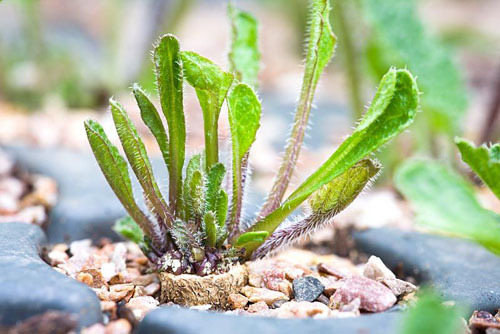 This entry was posted in Plant focus on January 28, 2016 by gapadmin. 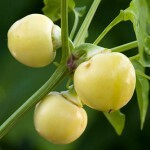 Either lift your chosen stock plant carefully, or fork around its perimeter to extract some roots. 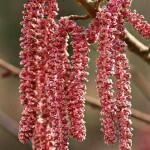 Only take four or five lengths from any one plant, and ideally choose those that were produced last year. 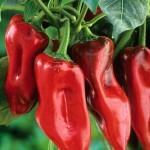 Cut them into 5cm lengths, with a flat top cut and sloping bottom cut. Cutting the root sections in this way ensures that you know which is the correct way up. 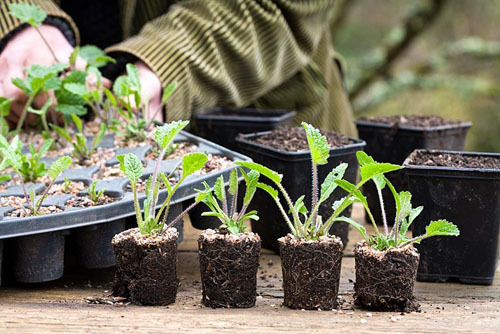 Fill a tray of large modules or a collection of pots with some seed and cuttings compost to which you’ve added 30 percent by volume fine grit. 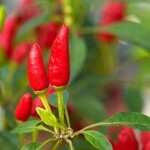 Water the compost well, then insert the cuttings to their full depth with the flat cut uppermost. 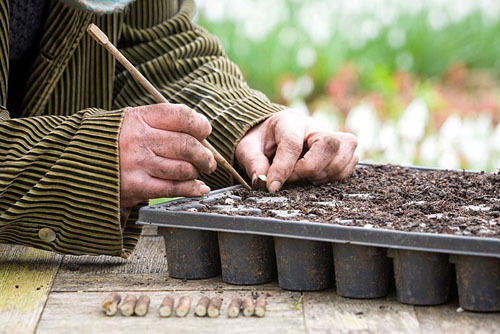 Position the completed pots or modules in a frost-free, well-lit spot – ideally on a gently heated bench if you have one. 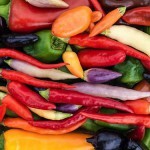 Keep the compost just moist. 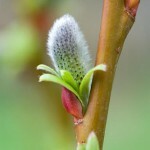 By mid spring young shoots will have appeared, and fine fibrous roots will also develop. Once these hold the compost together you can pot up your cuttings, ready to distribute to gardening neighbours and friends. 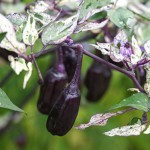 This entry was posted in Practical gardening on January 25, 2016 by gapadmin. 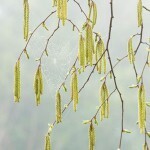 While big, showy petals may well catch our eye during the summer months, don’t overlook the equally impressive array of catkins that begin their pendulous displays in the winter period. 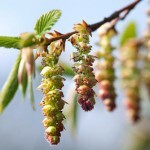 These filamentous flowers persist well into spring, and although they may not bring bold blocks of pink, blue or orange, their trump card is their ability to appear on bare branches, while hot-house flowers are still slumbering in their beds. 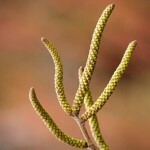 Catkins are, in fact, the male flowering structures of certain plants. For once in life, the females take a back seat when it comes to putting on a colourful and spectacular display. 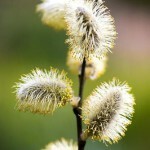 The fluffy flowers are so-shaped because they are packed with pollen-bearing filaments. 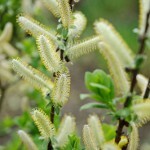 Instead of relying on insects, catkin-bearing plants are wind-pollinated. 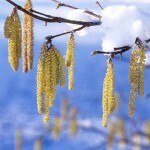 The flowers are designed to dangle so that the lightest breeze will shake them to release their precious pollen. 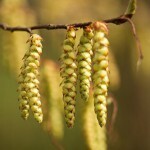 Birch, hazel, hornbeam and willow commonly produce showy catkins. 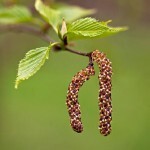 The native silver birch, Betula pendula, produces abundant male blooms, but for something that bit special, why not seek out Betula luminifera with pendulous catkins to 3 inches long? 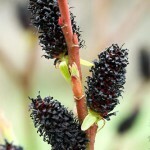 You’re spoilt for choice with willows – Salix caprea, S. hastata and S. x tsugualensis will all give you a great show, but for something a little different, consider planting S. gracilistyla ‘Melanostachys’ with its jet black flowers. 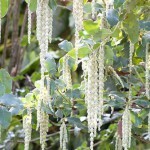 The male selection of Garrya elliptica wins hand-down on length, with tassles easily 6 inches long, while you can’t beat the hop hornbeam, Ostrya virginiana for full-on plumpness. 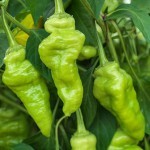 This entry was posted in Plant focus on January 21, 2016 by gapadmin.